Hands on STEM learning has a tendency to build bonds in more ways than one. Follow the steps outlined below to put together your school's Family STEM Night. With the ever growing plethora of extra curricular activities filling our school calendar there is rarely a PERFECT time to host a Family STEM Night, but very often just setting a date is worth it. Once you host one, word gets out quickly and students tend shirk other responsibilities to attend for better or worse. That being said, pick a date, stick with it, and advertise it far and wide! Teachers, parents, and community members are always great to recruit to run a station with a STEM activity. It is even a lot of fun to invite local businesses to show off how STEM is incorporated into what they do everyday. This is where we come in! Click the "STEM Discovery Kits" button below to view a comprehensive list of our over 100 STEM Discovery Kits (New Kit Description Page COMING SOON). These are self contained boxes of hands on STEM learning complete with instructions and materials. Once you have an idea of the STEM Discovery Kits you would like to reserve click the "Reserve Kits For Family STEM Night" button, and follow the instructions on the form. You will receive a request receipt listing the STEM Discovery Kits you have chosen and the dates you have reserved them. Check the calendar linked below for available dates, and feel free to click each event to see a full list of the STEM Discovery Kits other schools have requested for their events. 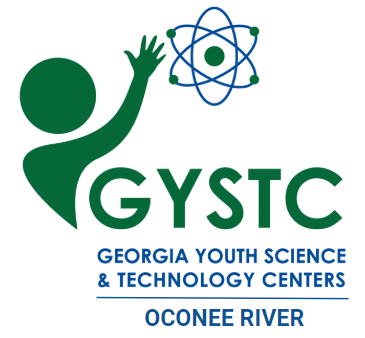 Pick up your STEM Discovery Kits at the Northeast Georgia RESA Office at 375 Winter Street, Winterville, GA 30683 ​on Mondays from 8am to 5pm or Fridays from 8am to 4:30pm. Delivery is also available on Mondays and Fridays. This is definitely the best step as you get to enjoy the fruit of your labor, which usually looks like students and their families laughing, learning, and building together with school staff and community members. Soak it all in, and pat yourself on the back for a job well done. This step is easy enough; drop the kits off at Northeast Georgia RESA, and tell us how well your Family STEM Night went. Go ahead and set a date for next year's Family STEM Night as the calendars tend to fill up quickly!